How Do I Pair Players in a Tournament? For making the teams, you will predetermine the teams outside the app and let the players know who's on their team. The forming of the teams in the app will take place on the day of the tournament when the players are starting their rounds. 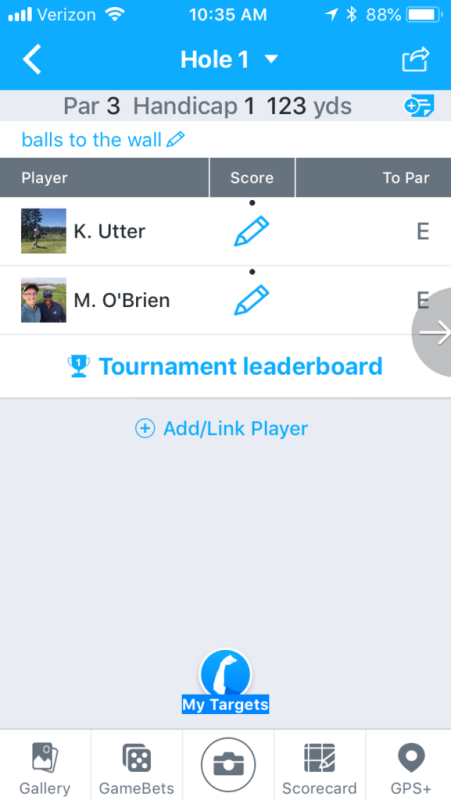 When your players hit 'Start tournament round' they will be placed on the starting hole in the app, and will see a 'Add/link Player' option below their name. 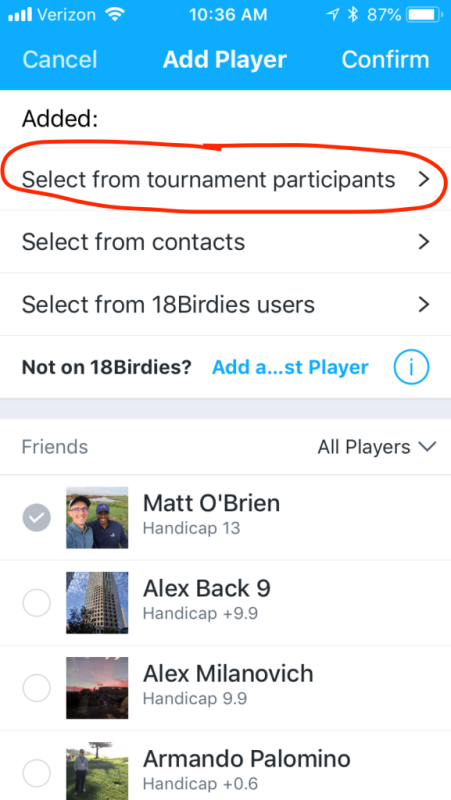 For a 2 man best ball, they will only add the player who is on their team to their group in the app. Adding the other 2 players in that foursome will make the app think all 4 are on the same team. Screenshots below of where to find the link to add a player to your team, and how to add from a list of tournament participants that you have invited. (keep in mind that the players have to 'Accept' the tournament invite to appear on this list of available players).